← Do you have our Loyalty Card? 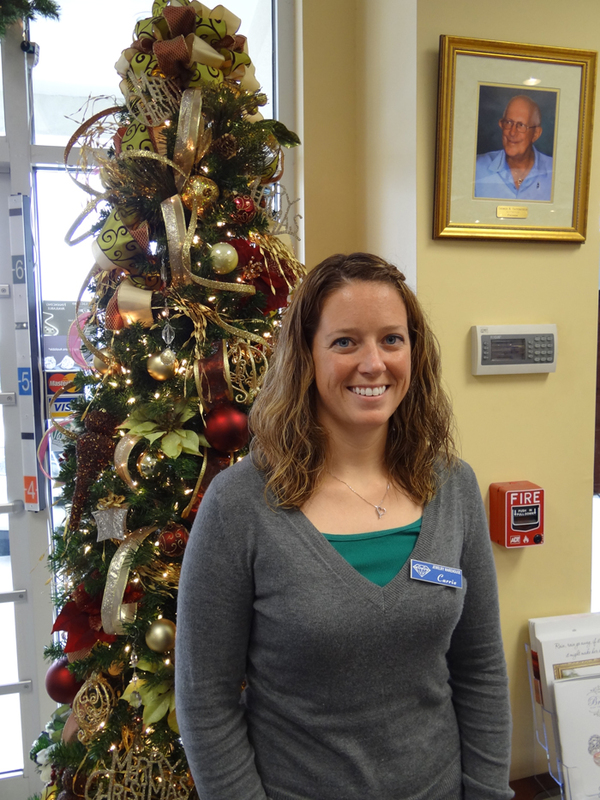 This week’s pick is by Carrie at our Lexington location. She picked the lovely collection of Diamonore. They have all the brilliance of a diamond at a fraction of the cost! Diamonore uses 99% pure lab grown diamond particles on and below the surface of the stone. Why did you choose this particular collection? – Diamonore is not only beautiful, it’s very affordable! I always recommend this collection of jewelry not only for it’s price, but for it’s quality. Do they just come in sterling silver? – Yes, they are sterling with platinum clad plating. What colors do the gemstones come in? – We have white, yellow and pink. How do I clean my Diamonore jewelry? – You can clean your Diamonore jewelry just like any other piece of jewelry you own. You would need to use non-abrasive, liquid sterling silver cleaner. Here are some more facts and information about this wonderful collection! Diamonore is the most beautiful patent pending diamond stimulant in the world. Diamonore’s core crystal is grown in a lab and precisely cut to diamond specifications. Lab created diamond particles are in and below the Diamonore crystal. The scientific lab created diamond injection technique gives Diamonore the look of the finest natural diamonds on the market today. Color range is D to H. Clarity range is IF to VVS1. Diamonore has all the brilliance of a diamond at a fraction of the cost. They are cut by expert gem cutters. 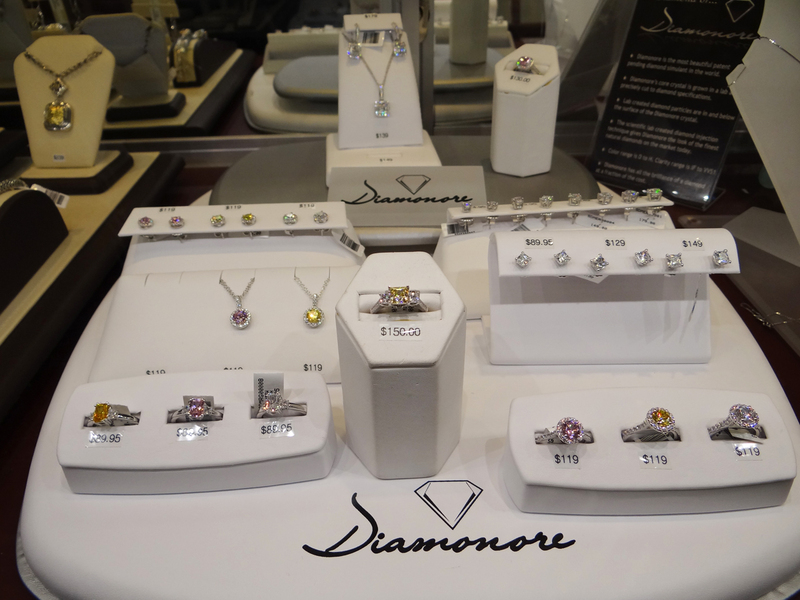 Here’s a photo of our Diamonore showcase in Lexington. This entry was posted in Employee Picks, Jewelry, Jewelry Brands and tagged diamonore, jewelry warehouse, ring, sterling silver. Bookmark the permalink.